Stretching between Kadıköy and Maltepe for 14 kilometers on the Asian side of İstanbul, Bağdat Avenue is one of the most popular destinations of shopping. Stretching between Kadıköy and Maltepe for 14 kilometers on the Asian side of İstanbul, the Bagdat Avenue is one of the most popular destinations of shopping. Bagdat Avenue is considered to be among the world’s liveliest shopping avenues. The avenue was named after the Bağdat military campaign by the Ottoman Sultan Murat IV and the most prestigious brands have their retail stores. The avenue is also pedestrian-friendly with its wide sidewalks and one-way motor traffic. It is not only frequented by people residing nearby, but it attracts countless other visitors with its upscale restaurants and cafés. Besides being a shopping district, the Bagdat Avenue also hosts several celebrations all year round. 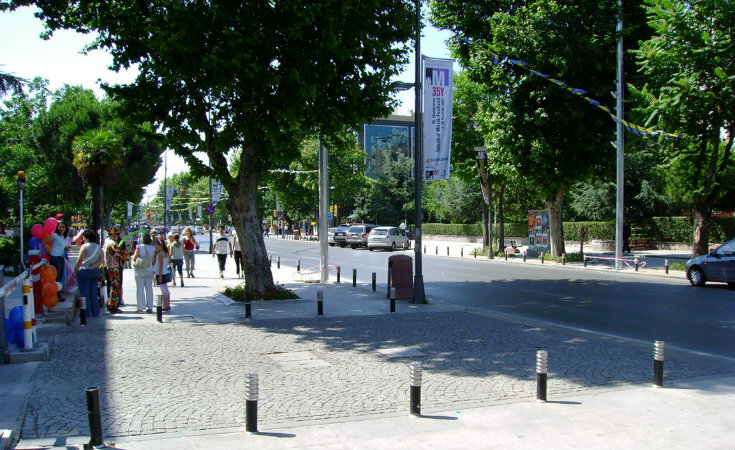 The championship celebrations of Fenerbahçe Football Club and the National Day Ceremonies are among the most popular occasions in the Avenue.